Is There Any Reason For a Zen Practitioner to Read About Science? The more experience I get the more I respect experience. Sometimes it hits me: what was I thinking when I thought I actually knew something? In fact, when I first came to Hazy Moon, Nyogen Roshi to said to me that what he had to offer was just his over 40 years experience “on the cushion” (i.e. meditating, having a Zen practice). I understood. That’s why I was there. 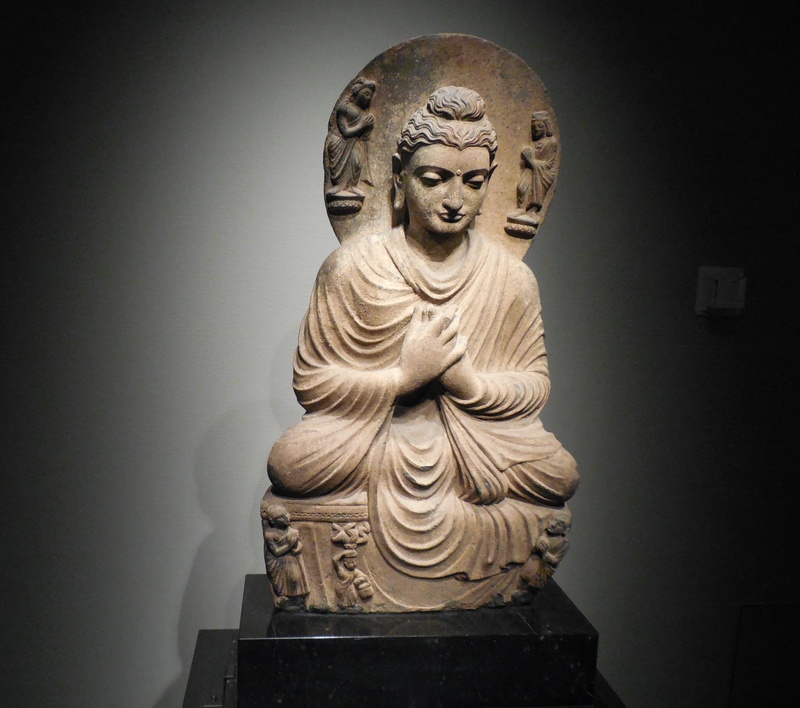 There are plenty of books on Buddhism. I had read many. Still do. Nyogen does point out reading can be good in Zen practice if you go about it in the right spirit; intellect as servant, not master. He reads. After all, smart and wise people who are dead or you can’t or wont meet or know, share themselves in books. In Tang China, the monks who went to India to bring back Buddhist texts were heroes (it was and arduous journey. 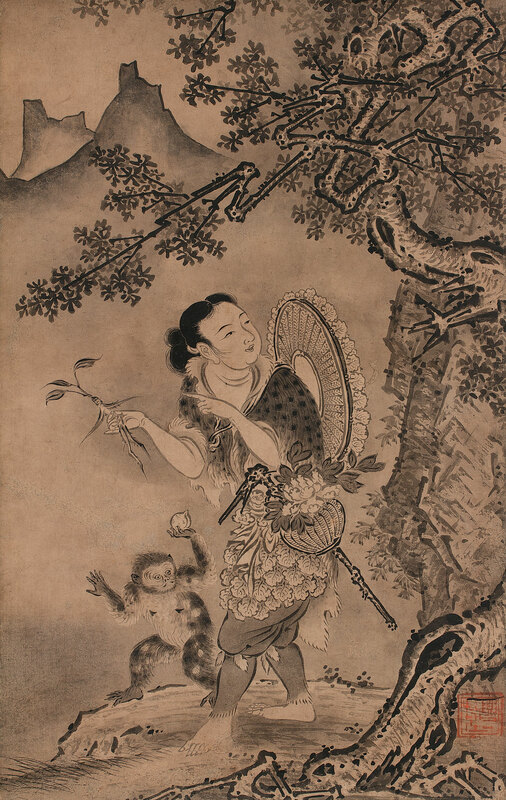 In Chinese folklore Monkey, or Journey to the West, is a fantasy myth about such a trip. Such a monk and the karma form his journey is part of my soon to come out novel, if I feel like self publishing it, “Aidan and The Mummy Girl”). Emperor Wu built a huge pagoda for the translators! If you watch nature shows, you know about the power of experience for mammals. The knowledge of the elephant family matriarch saving her family in a drought because she’s been there before and knows the signs and what to do, comes to mind. Orca matriarchs teaching hunting. Animals transmitting tool use to the young. Life and death stuff. Of course, experience and experiment have the same roots. The difference is, well, maybe there is little difference if both are approached in the right way. The difference is organization and often math in experiment. In experiments you try to control the set up. Even in thought experiments and observational experiments. Hmm, we often try that in life and practice as well, don’t we? First thing in experience/experiment if it is to be useful, is Maezumi Roshi’s admonition: no self deception. Very difficult. The more I watch doctors and scientists, the more I practice Zen, the more I get how subtle and deep and layered self deception and delusion are. Turtles all the way down. Experience in my life experience has recently hit home for me as I think about retirement and what I want to teach the residents learning about ocular inflammatory disease when the rotate in my clinic. It also hit home being on the boards of two non-profit groups, a new experience for me. In medical school it seemed like if I could just cram enough facts about diseases into my head I’d be a good doctor. I studied hard, top f my class, 99th percentile on medical boards. Not a bad first step, a foundation, but not enough. As a doctor who is involved with people who have rare diseases, I know the books just aren’t enough. After all, people like me write the books, and we often know less than we want to. Research is hard and expensive and in rare diseases great research is hard to do. Randomizing patients is often not ethical, and there aren’t enough patients/subjects to get a large enough group to see differences, to evaluate any differences, to understand the range of manifestations or to get a statistically reliable result. Ambiguity is part of a doctor’s practice, and part of a patient’s life. Not always easy. Not cookbook. The longer I teach medicine, the more I see how just reading the books is not enough. It is necessary, but not sufficient, as we say in medical science. Experience wont necessarily bring great judgment and success, but it is necessary if not always sufficient, to have someone around who has been there, seen that, has the wherewithal to say something insightful and useful about it. And that’s one reason the siliconization of medicine will hurt a lot of people. Others include mind numbing algorithms and extra work to make things cosmetically acceptable to the beaurocrats and lawyers and the push to a homogenous, one size fits all, way of being. Fine, I’m an old guy justifying old people’s existence. You may say I just have a self-aggrandizing agenda. You know, please don’t put me on an ice flow just yet…! But the value of experience it isn’t just about medicine, that’s just one of the worlds I inhabit. Nor is it about being old, just being in the fray long enough to know your way around. To know what really is an exception, where the algorithm breaks down. Every disease’s diagnostic criteria has an escape clause: nothing else found to explain what’s going on. Every treatment is statistically determined in clinical studies, with variables we don’t even know to look for yet. Less ambiguous but more mysterious to me is the world of the non-profit board. A year ago I joined the board of “Swipe Out Hunger,” a non-profit to help feed hungry college students. Think about it. Someone poor gets into college. It may be a waste of their time, college can be, or the ticket to self-respect, dignity, freedom, a better financial future, but they are hungry and distracted. Not the biggest problem facing society, but a problem that is tractable and real and effects thousands of hard working, smart young people. I got involved because the university, UCLA, where Swipes started, is where I have worked for 19 years. This is one of my communities, a sangha. On the Swipe board there are amazing people. Look on the Swipes website (swipehunger.org) at their bios. I met them, got the brief rundown, last year, but first read their bios a few weeks ago. I was floored, awed. I understood why at board meetings I have so little to add. These people have walked the walk and know the ins and outs of this do-gooder non-profit world. I don’t. And they aren’t old at all (well, one other guy and me), just they have done this or related things (e.g. consulting) as their life’s work. In fact, Swipe was started several years ago by college kids, including the woman who runs it now (she is no longer in college but still young. Dynamic. Talented. Caring. She needs to run for office one day). They are smart, talented, and they made the effort, putting in the hours. It isn’t about grey hair and wrinkles and arthritis. I also recently joined the board at Hazy Moon. 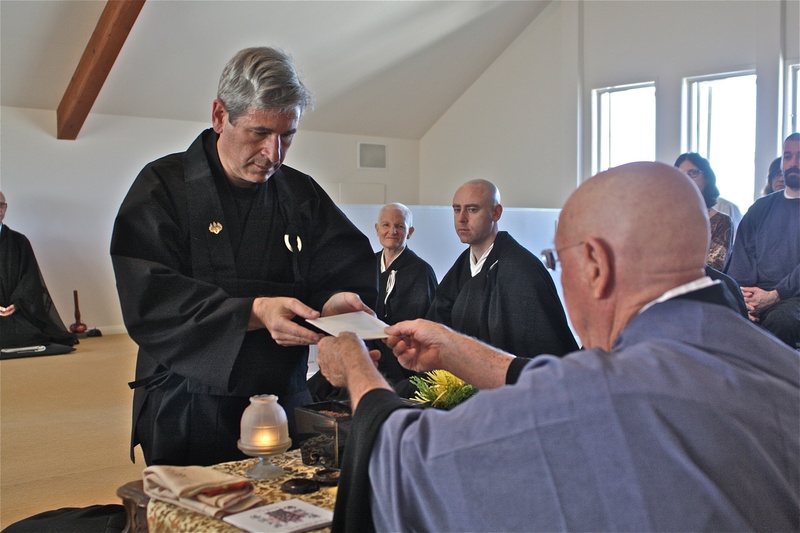 What do I know about running a Zen Center? I show up, meditate, vacuum and dust or clean the yard on work days or when I take part in sesshin (or, more often, a part of one, anyway). Some on the board built the place and have been making it happen for decades! So I decided, like in medical school, to get a foundation of knowledge. Got a few books. Started reading. The books are fine, but in fact I’d have to also read up on accounting and management, etc., etc. No book looked like it answered even most of the questions I had. What should we budget for this and that? What is the right managerial mix when hiring? Fortunately the other board members have travelled those roads. On the plus side of reading, a book is presumably a distillation of the author’s knowledge and, yes, experience. Books are great resources. How else can dozens, hundreds, even thousands or millions of people access what the author knows and thinks? Reading of course I just one way to access knowledge. There are many great resources. But I just happen to love books. Hard to scan a recorded lecture for what you want. Holding and smelling my computer just isn’t the same as with a book. But some things really do lend themselves to other media. But then, can we truly transmit experience in a book? Certainly a bit. We can sometimes almost do better in fiction and poetry (hence why I took a stab at fiction with “Aidan and The Dragon Girl,” and have another one I wrote and am finishing up I mentioned earlier, “Aidan and the Mummy girl,” to express my personal experience and journey in a meaningful way, hopefully only moderately didactic). Will an author be honest enough, have the space for enough to give attention to the outliers, to individual circumstances? Can an author know in advance what it is that you as a particular reader needs to know? Will the author have the courage to step outside received wisdom and write what is really on his or her mind? Sure, I’ve spent a bit of time with the books and will do some more reading when I feel like it. Or better than rely on books, I decided, I will hang around. After all, they didn’t invite me on the board because of what I could read up on. So I will soak up the knowledge and wisdom of my fellow board members. In the mean time, use my intelligence and wit to try to add a bit here and there to the conversation and decision making. You know, get some experience. This entry was tagged boards, experience, Hazy Moon, Mauezumi, nonprofit, Nyogen, Swipe Out Hunger. Bookmark the permalink.